If you have found a pet, there are several options available to you. When the animal arrives at the shelter, staff will use all available resources to reunite the animal with its owner. Stray dogs are held for a minimum of 48 hours. 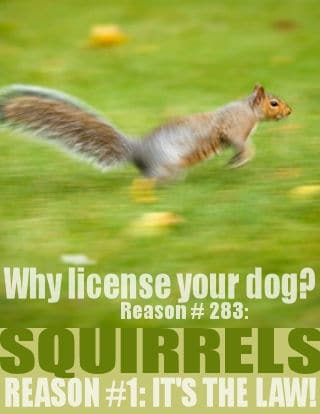 If the dog is wearing a city license, it will be held for a minimum of 10 days. Fill out a found report online here. A special note about outdoor cats: Cats are allowed outdoors in the city of Philadelphia. If you have found a cat, you might have found someone’s pet who has either been let out or escaped the house. Free roaming cats brought to ACCT Philly who are deemed healthy will be verified as sterilized, vaccinated and released back to their home territory so that they may return home in accordance with our Community Cats Program that is reducing the population of free roaming cats in Philadelphia through targeted sterilization. 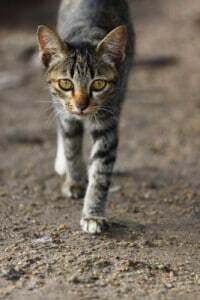 Cats are more likely to find their own way home than be reclaimed at the shelter: Be aware that cats are more likely to find their own way home than to be reunited by any other method. Bringing a cat to the shelter, unless that cat is in need of medical care, is the least likely way for that cat to get home. The best thing you can do for a healthy, adult cat who is not in imminent danger is allow him or her to find their way home and only intervene if you are concerned for the cat’s safety. You can keep the animal in your home and look for the owner: Many people want to save a lost pet from having to spend time in an animal shelter. The good news is you do not have to bring a found animal to ACCT Philly and you can keep the animal in your home while you look for the owner. Simply file a “found report” online now or contact ACCT Philly at 267-385-3800 and give a detailed description of the animal to the staff. Staff will check your “found” animal with reported “lost” animals to see if there is a match. See below for more tips on finding a pet’s owner. You can bring the animal to the shelter: You can bring the found animal to ACCT Philly at 111 W. Hunting Park Avenue from 11 a.m. to 7 p.m. Monday through Friday and 11 a.m. to 5 p.m. on weekends and holidays. You will be asked some basic questions concerning where the animal was found and if it was wearing any identification. While the animal is in your home, you should check websites such as Petfinder, Craig’s List and your local newspaper for ads concerning lost pets. Post signs with your contact information in the area where you found the animal. It is recommended that you take the animal to a veterinary office for an initial examination to ensure the animal is healthy. The veterinarian can also determine if the animal is microchipped (ACCT Philly can also scan the animal for a microchip). Also, be sure to add information on the found pet to ACCT Philly’s Lost and Found Pets page on Facebook, be sure to include a photo!